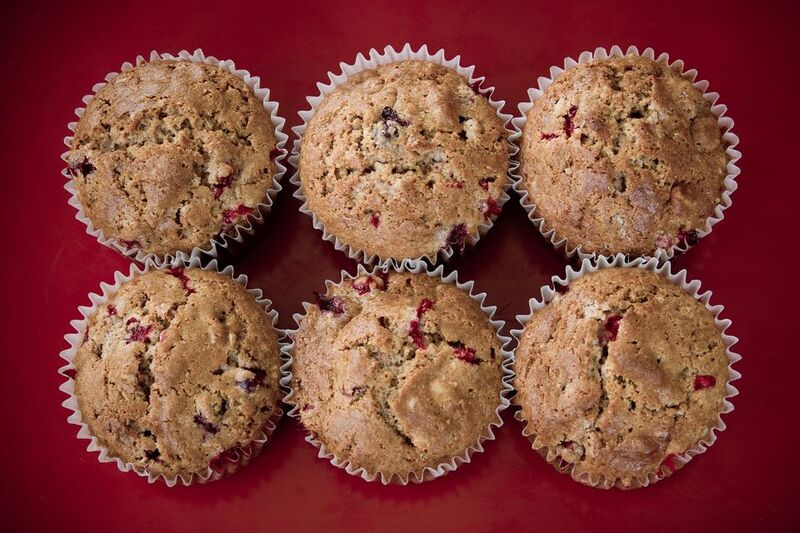 The combination of a tender muffin studded with sweet white chocolate chips and tart cranberries is divine. You can substitute half a cup of dried cranberries for the fresh or frozen ones if you'd like. We usually like to use paper muffin liners to make muffins, but not for this recipe, because they stick. Use a baking spray with flour. Make these soon for a delicious sweet and tart treat you won't forget. Spray 16 muffin cups with baking spray containing flour; set aside. In small bowl, combine walnuts, 1/3 cup brown sugar, 1/4 cup flour and 3 tablespoons butter and mix until crumbly. Set aside. In large bowl, combine flour, sugar, 1/4 cup brown sugar, baking powder and baking soda and mix with wire whisk. In medium bowl, combine eggs, oil, and sour cream and beat with whisk until smooth and blended. Add egg mixture to flour mixture and stir just until combined. Add cranberries and white chocolate chips; stir until blended. Spoon batter into prepared muffin cups; sprinkle each with some of the brown sugar mixture. Bake at 375 F for 20-25 minutes or until muffins are browned and firm when touched with finger. Let cool in muffin tins for 3-4 minutes, then carefully remove to wire racks to cool.